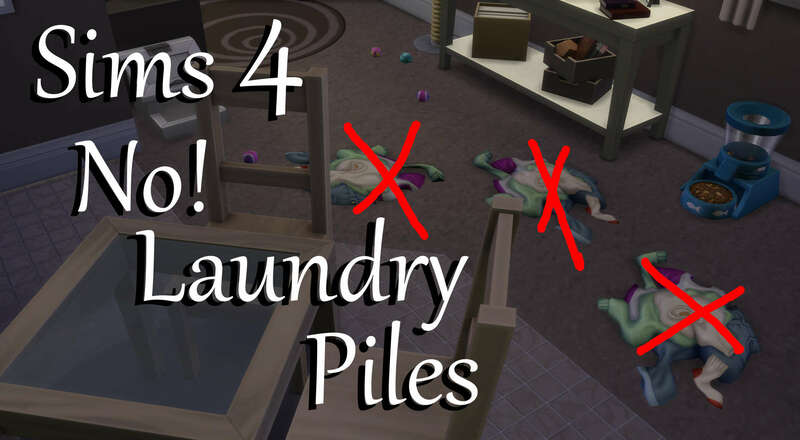 After I created my Moody Laundry Piles Mod I have gotten a few requests to make one so there are no laundry piles forming after a sim changes clothes. When a sim changes clothes, there will be no laundry piles on the floor regardless of their age, mood, or traits. This WILL conflict with my Moody Laundry Piles Mod as it uses the same XML file. DO NOT use them together! 67 people have said thanks to PolarBearSims for this download. urd Thank you for making laundry in this game more managable! This will stop the lazy and slob sims from leaving laundry piles on the floor as well. Last edited by tomboy : 21st Jan 2019 at 12:34 AM.